A Pinhole camera is any light tight container with an aperture (hole) and a shutter (something to cover the hole. 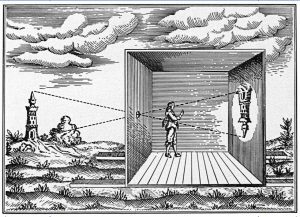 A camera obscura is a dark chamber, container or room with a singular entry point of light. Once your eyes have adjusted, the outside will appear on the wall upside down. You can see how this would be useful for artists to trace and have an accurate perspective. Create a camera obscura right now out of your own room! The pinhole camera works the same way as a camera obscura, you simply add light sensitive paper or film on the back wall across from the pinhole and a shutter or way to stop the light. Pinhole photography requires long exposure times due to a fixed aperture. It tends to have soft “perfect” imperfections. 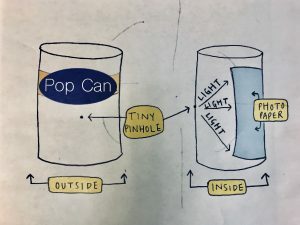 If the sun is out you may see flares, or if you build a pop can camera it can look warped. I have used everything from a 6×12 to a small 4×5 pinhole camera and even a Altoid tin made into a camera. 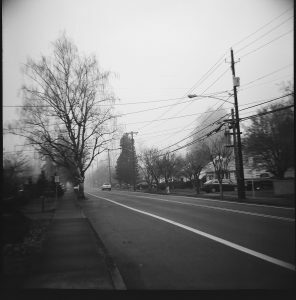 This past year I have started turning to pinhole photography again and again. I think it touches on the very roots of photography: capturing light and time. It asks you to stop, consider your light and your subject. It insists you look and begs you to enjoy the process. 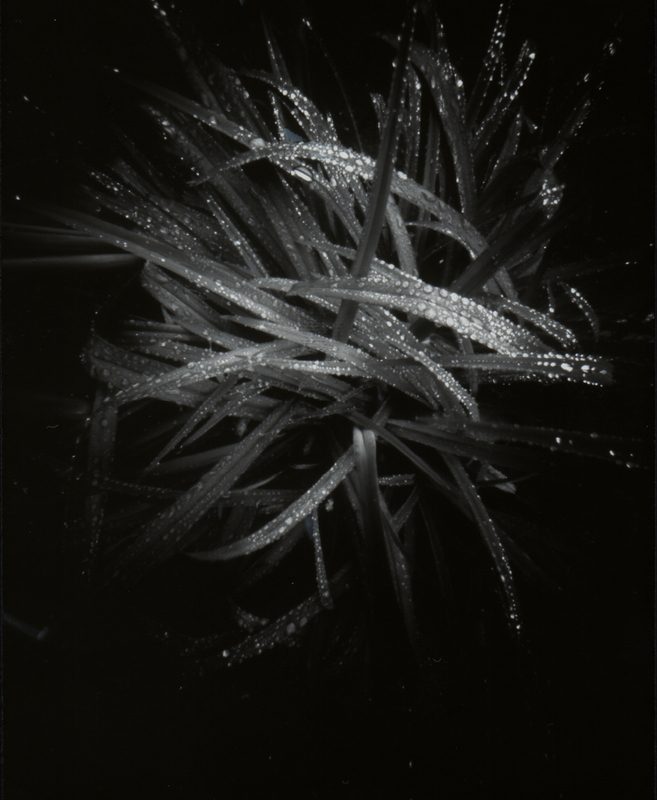 In pinhole photography, you often end up with a long exposure. This means anything that is moving will blur OR if it is a long enough exposure- moving things will not even appear. MAGIC. Don Pyle is a Pinhole Photographer whose images reflect both the consciousness of subject and mastery of capturing time. 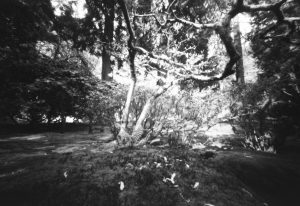 He is someone who inspired me to continue exploring pinhole photography after a day trip to the Portland Japanese Gardens. Pyle builds his own cameras with specific apertures. These allow for the use of a light meter and specific exposure times compared to the homemade pop can where you have to test for the proper exposure. To see his work and his cameras click here. 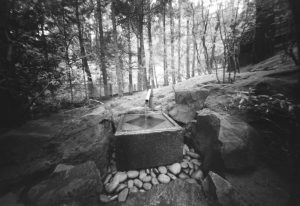 If you are interested in exploring Pinhole Photography further, consider taking my SkillShare class which walks you through building a camera to taking your first negative and making a positive out of it. Recently, I downloaded an an app that claims to mimic the pinhole photography style. The video below is a review and tutorial on how to use the app. Let me know if you try it and what you think! If you use any other apps for this style of photography in your phone, I would love to hear about them.